Sam Ryder, a high school student, discovers a coded message in an abandoned cabin in the north Maine woods. He later learns that in 1944 an escaped WWII German POW died in the same cabin. What was the German doing there? 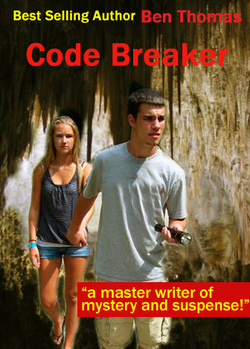 Code Breaker is about Sam ‘s attempt to unravel the German secret cipher which he hopes will lead to a fabulous treasure before the bad guys can steal it…all the while trying to establish a relationship with the heroine, Brooke Corrigan, known as the Ice Lady, before German agents, also searching for the loot, can do her in. Then he must deal with why he left Baton Rouge, Louisiana, a jump ahead of the law.